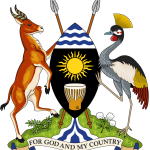 The Ministry of ICT & NG has developed a five-year sector Strategic and Investment Plan (ICT SIP) 2015/16-2019/20, to guide systematic deployment of ICT for development and service delivery in line with the Uganda Vision 2040 and the National Development Plan (NDP) 2015/16-2019/20. The Vision of the ICT SIP is “A knowledge-based Uganda enabled by a Vibrant ICT sector” and the mission is “to provide leadership and enabling environment for promotion of ICT as an industry, and enabler for transforming Uganda into a knowledge-based society”. iv. Improved access to high speed broadband services to facilitate communication, economic activities and service delivery. The target is to improve Broadband access from 512Kbps to 4Mbps and 30Mbps for rural and urban households respectively.